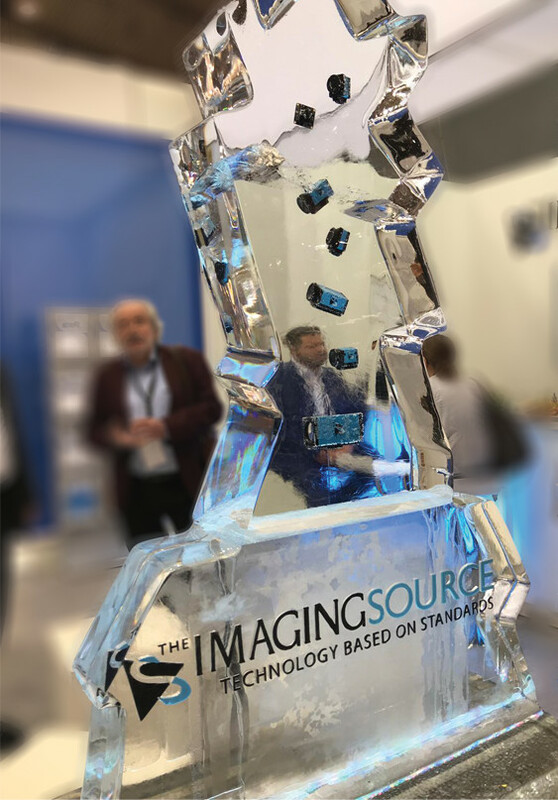 The Imaging Source's impressive ice sculpture was just the tip of the iceberg at "VISION 2018". 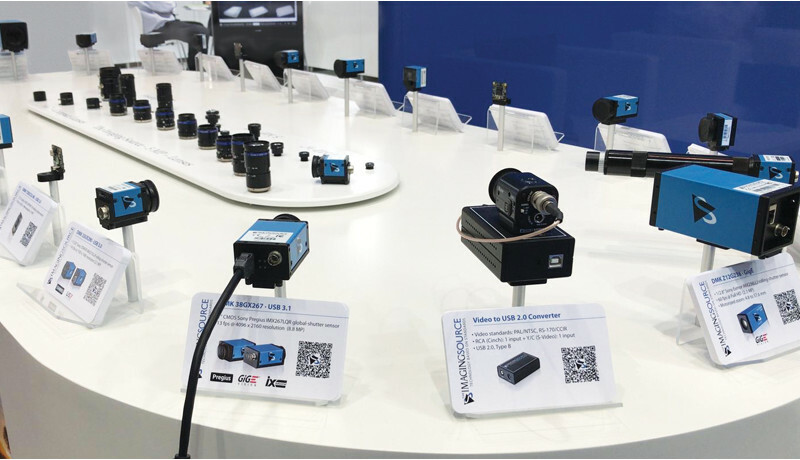 During this year's show, The Imaging Source showcased its latest high-end cameras with Sony Pregius 8.9MP and 12.3MP global-shutter sensors. The cameras are available with a USB 3.1 interface or, for the first time, with the new ix Industrial® Ethernet interface. The ix Industrial® interface is the smaller, more robust, active-locking alternative to RJ45 and offers high shock and vibration resistance - making it better-suited to industrial environments. VISION's top trends included embedded vision as well as Deep Learning which were reflected in The Imaging Source's booth demos. Via stereo estimation (accomplished with IC 3D and DFK 33GP1300 cameras) and deep-learning-based object detection (HALCON), The Imaging Source's demo combined real-time human detection and distance information extraction to estimate mean distance. The continued growth of the machine vision market was apparent in VISION's record-setting visitor numbers: over 11,000 visitors attended this year's show - an increase of 14 percentage points over the last event in 2016. Many thanks to everyone for a successful show! Post published by TIS Marketing on November 20, 2018.